All VoIP and Softphones must be purchased through WSU ITS and all phones require a license to include standalone softphone clients. For pricing information go to https://its.wsu.edu/service-rates/. The WSU Pullman Telephone System now provides some extended features. These features require some initial setup, and need to be requested by the department using https://ServiceRequest.it.wsu.edu/. Single Inbox Messaging – this provides the ability to receive voicemail messages as an Outlook/Exchange email message with the voice message delivered as a .WAV file attachment. The system synchronizes message status, deletions, and the message waiting light between the email and phone systems. The Single Inbox Messaging feature is available only to individuals utilizing the central WSU exchange mailbox system. Reach Me Anywhere (Single Number Reach) – this provides the ability to have calls to the office ring either a cell phone or another number after a few rings. This feature does not require a smart phone. Calls can be switched back and forth between a cell phone and the office phone. Point to Point Video Calling – The WSU Pullman Unified Communication system now supports Point to Point Video Phone service. This requires a video-capable Cisco IP phone with camera, or a Cisco Jabber Softphone client at both ends of the call, When you call from one supported phone to another video phone on campus, a high quality point to point video call opens and you will be able to see and talk to the other party. Voicemail and Phone Web Page Access – the above features also include access to end-user web pages for voicemail and phones. Access to these web pages can also be requested even if the above features are not enabled. Mobile Remote Access (MRA) – Ability of physical phone to register from off WSU Pullman campus using the NID/Password of an active WSU employee. Available on Cisco 78xx and 88xx model phone. Currently only supports a single line in MRA mode. Requires Power Over Ethernet (POE) connection or external power supply and internet. Support for local network and endpoint devices is not covered by WSU ITS. Cisco Jabber softphone – Single line softphone client for use on Windows and Mac desktops, tablets and surfaces. Client is also available for Android and Apple mobile devices. Support for local network and endpoint computers and devices is not covered by WSU ITS. Cisco IP Communicator Softphone – Windows only multi-line desktop softphone. Computer must be on the core WSU wired network or use VPN into authorized WSU network. Support for local network and endpoint computers and devices is not covered by WSU ITS. 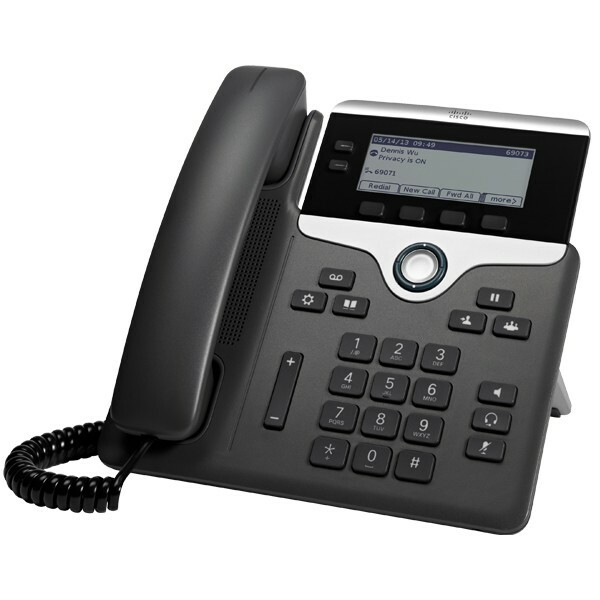 The most common phone for new deployments, upgrades, and replacements is the Cisco IP Phone 7821. This is a two-line 10/100mbps phone.